Biographical Sketch On The Life Of B.F. Rhodes, Sr.
Benjamin Franklin Rhodes, Sr., was born to David Wyrick and Sara Wharton Rhodes in 1869 at Drakeville, Appanoose County, Iowa. He was baptized at the age of 14. In 1906, he married Miss Otie Sparkman. Five children were born to this union: David W., Maureen (Mrs. J. C. Kingsley), Juanita, Geraldine (Mrs. O. P. Baird), and Dr. Frank Rhodes, Jr. He had one brother, H. H. Rhodes. He attended school and Potter Bible College (B.A.) and the University of Oklahoma (M.A.). Rhodes began preaching in January, 1894, in Sumner County, Kansas. He was never a "located" preacher except for one year in Winfield, Kansas. He evangelized widely, especially in the last years of the century. After he began teaching at the Christian colleges, he continued to evangelize during the summer months. He preached in at least twelve States: Kansas, Oklahoma, Texas, Arkansas, Iowa, Missouri, Nebraska, South Dakota, Tennessee, Alabama, Colorado and New Mexico. 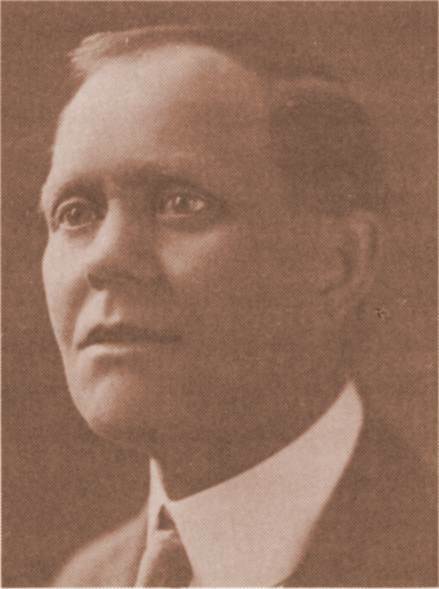 He also preached the entire summer of 1921 in Calgary, Alberta, Canada. Rhodes was one of the founders of Western Bible and Literary College in Odessa, Missouri. He taught there in 1905-1908. He also taught at Cordell Christian College, 1909-1911 and 1915-1918; Thorp Springs Christian College, 1911-1915; Harper College, 1918-1922 and 1923-1924; Abilene Christian College, 1922-1923; and Harding College, 1924-1947, while it was located at Morrilton, Arkansas. Rhodes debated Daniel Sommer on the "Christian College Issue" in 1907 in Odessa and Hale, Missouri. For the last 13 years of his life, he taught at Harding College after it was located in Searcy, Arkansas. He was the senior member of the faculty having served the school for 40 years. Rhodes conducted the first gospel meeting ever conducted in Dodge City, Kansas. With several of his brothers, he made the run for land in the Cherokee Outlet (now Oklahoma) in 1893. They were cheated out of their claim by some men with guns. His Master's thesis was, "The Opening of the Cherokee Outlet." In his work in the Christian colleges, he taught primarily history but taught a number of social sciences, and always taught a Bible class. He taught Hebrew for several years. As a teacher, he was known for his wide and ready knowledge. In the Spring of 1947, before school was out, he finished the Bible class he was teaching, took the grades to the Registrar's office, went in to see Dr. George Benson and told him that this was the end of his teaching. Within a few days, he had a stroke and died after several additional strokes. Truly, he had finished the course and kept the faith. Rhodes died May 27, 1947, at Searcy, Arkansas. He was survived by his wife, and all five children: David W., Maureen, Juanita, Geraldine, and b: Frank, Jr. (Juanita since died in 1979). From the book entitled: In Memoriam, by Gussie Lambert, c.1988, pages 237,238 Funeral service was conducted at the College Church of Christ in Searcy on the afternoon of May 28, 1947, by George S. Benson, assisted by S. A. Bell and L. C. Sears. Rhodes was laid to rest in the Oak Grove Cemetery in Searcy, Arkansas. B. F. Rhodes was a great and godly man. He wielded a tremendous influence over the many young people that he taught in different colleges. His influence will continue to live.